I recently had a huge sort out and organisation of my makeup and skincare, finding things I had long forgotten about and discovering along the way that I had accumulated a ridiculous amount of sachets. I thought I may do a regular post on a Sunday based on these sachets. 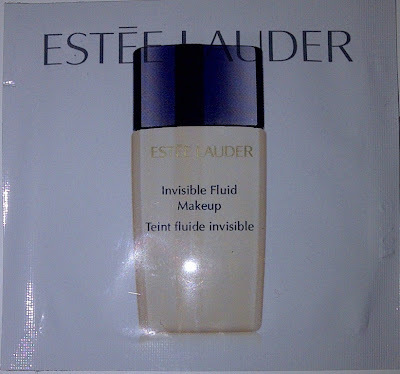 I absolutely love Estee Lauder's Double Wear for its unbeatable coverage and staying power so have not really been too interested in trying Estee Lauder Invisible Fluid Makeup fearing that its coverage may just be too light for my needs. 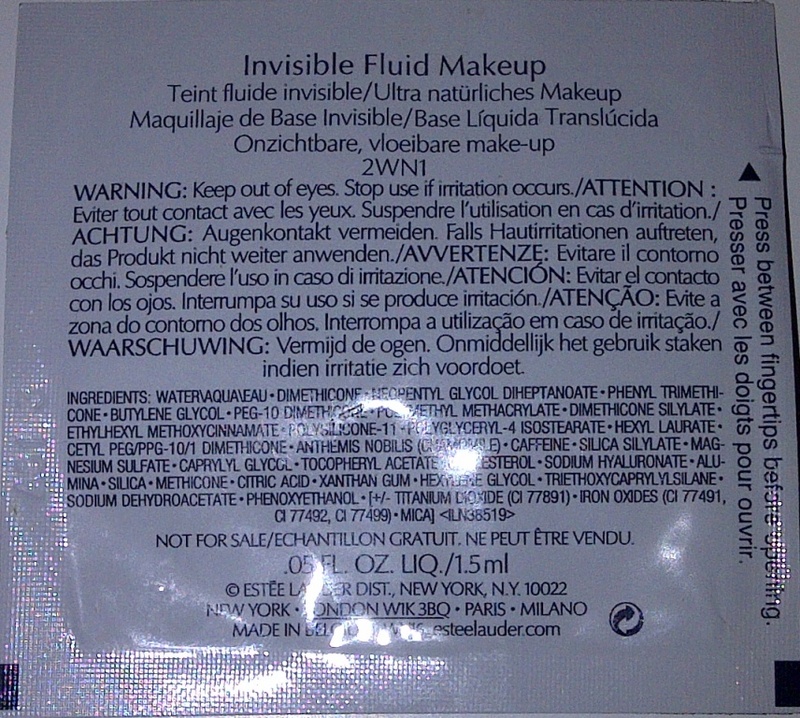 However this sachet sample was a perfect way to try it out and satisfy my curiousity..
See no makeup. Feel no makeup™. First-ever IntuiTone™ technology guarantees your true-to-life shade and keeps it real in every light. Fresh, flawless, radiant. Ultra light, ultra breathable, oil-free. 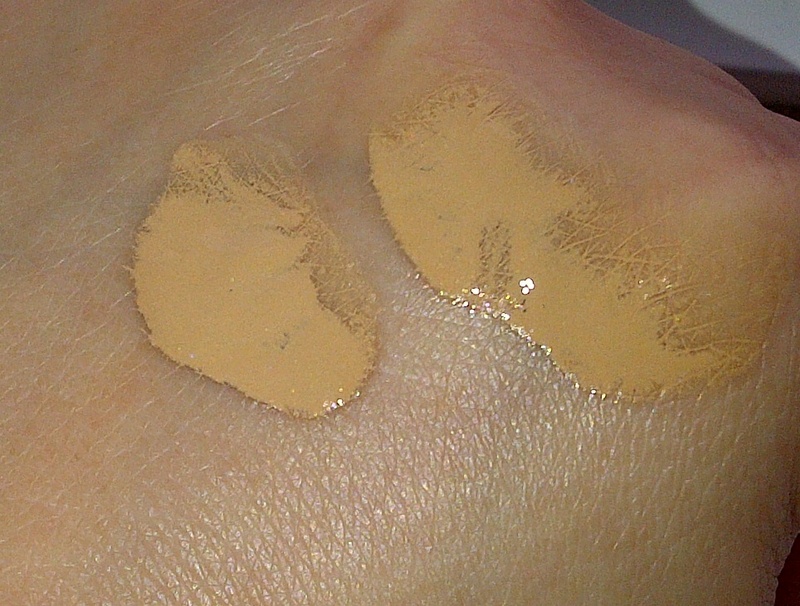 Weightless, buildable coverage. Air-infused with every shake. 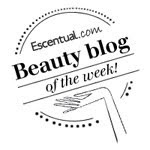 Blends so perfectly for the look and feel of bare skin-only better. Lasts all day. Controls excess oil. Won't clog pores. First off I should mention that the shade is a little too dark for me. The formula is really runny as you can tell from the above picture. 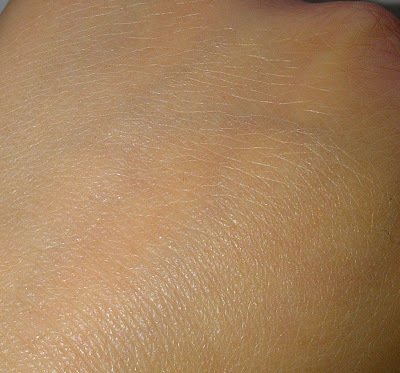 It blends really well to pretty much go undetectable as can be seen from the second picture above. Applied, it did provide a nice smooth finish that made my skin look radiant and it went on nicely over my pores on my nose. However, as I suspected, due to it being sheer it didn't cover the redness I suffer from having rosacea and neither did it cover blemishes. 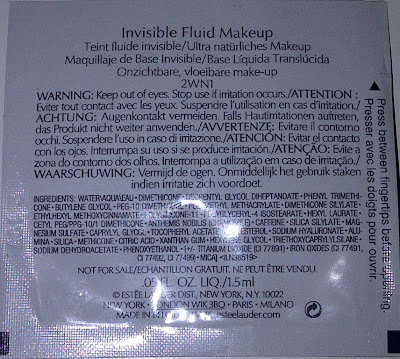 It is called Invisible Fluid Makeup but personally this was a bit too invisible for my liking! If you like light coverage from your foundation that you cannot feel at all, if you like your skin to look very natural then you may like to try this foundation. I would consider this as a Summer product but as you may have guessed I need my coverage to be more than this offers. Hmmm... This sounds like a great product to try out. 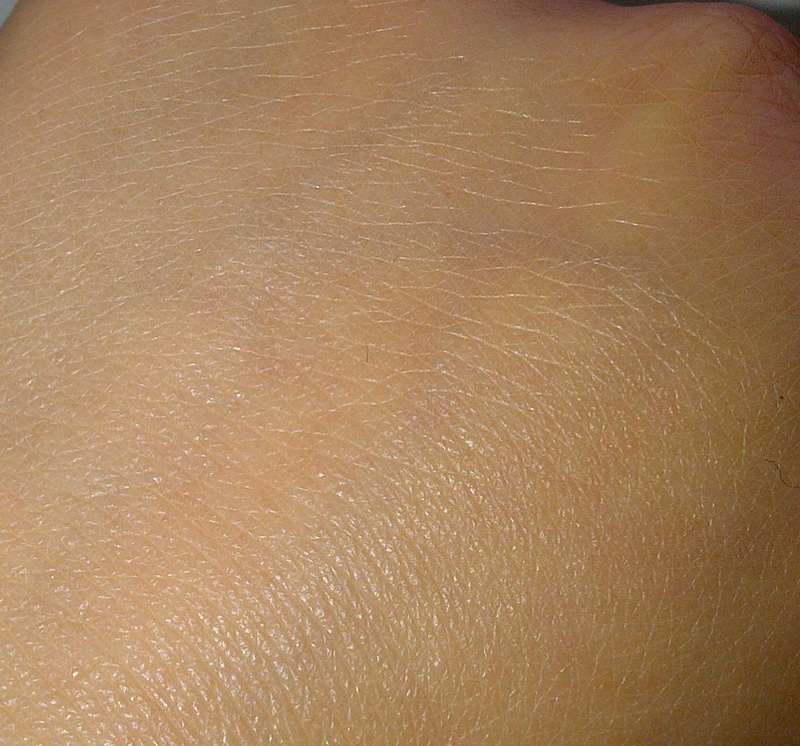 I love the color and how it blends with the skin. I am going to try this out and see how it works on my skin.